Terrorism and climate change are extreme events that frighten and alarm. This makes decision-making for these hazards or threats all the more difficult, particularly when decision-makers are risk averse. This chapter will describe how risk-based approaches are well suited to optimising decisions related to these extreme events. Stochastic methods are used to model threat likelihood, vulnerability, effectiveness of protective strategies, exposure and costs. The concepts will be illustrated with current research of risk-based assessment of counterterrorism and climate adaptation strategies. 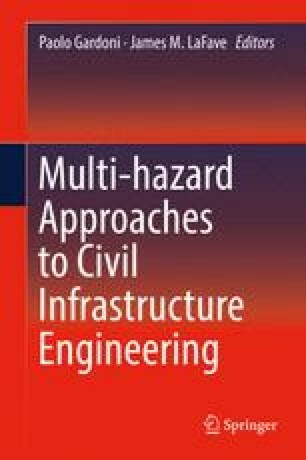 The case studies consider (1) protection of new bridges against terrorist attack and (2) climate change and cost-effectiveness of designing new port facilities to be less vulnerable to severe corrosion. The author thanks Dr Lizhengli Peng for generating the data for Fig. 5.3. The author also appreciates the financial support of the Australian Research Council and the Commonwealth Scientific and Industrial Research Organisation (CSIRO) Flagship Cluster Fund through the project Climate Adaptation Engineering for Extreme Events in collaboration with the Sustainable Cities and Coasts Theme, the CSIRO Climate Adaptation Flagship.